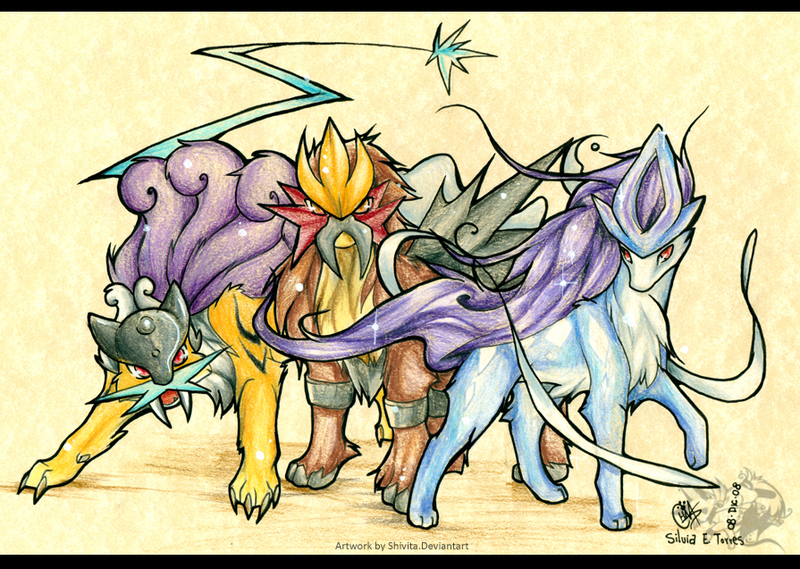 সারমেয়. . HD Wallpaper and background images in the খ্যতিমান পোকেমন club tagged: legendary pokemon suicune raikou entei dogs. 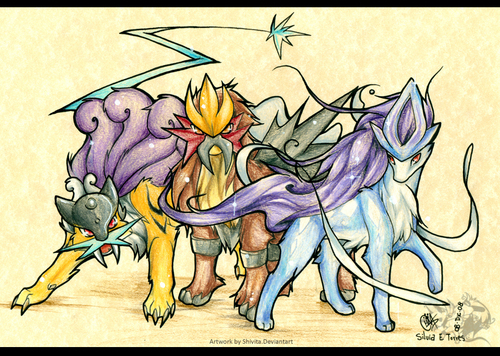 Well, I don't call them dogs, just beast and sweet drawing ? Did you draw that ? Unfortunately I didn't, I can't do drawings on computer, prefer pencil to paper, indite of who did.